This is the story of Sue Barton's first year of training as a probationer and then as a student nurse. 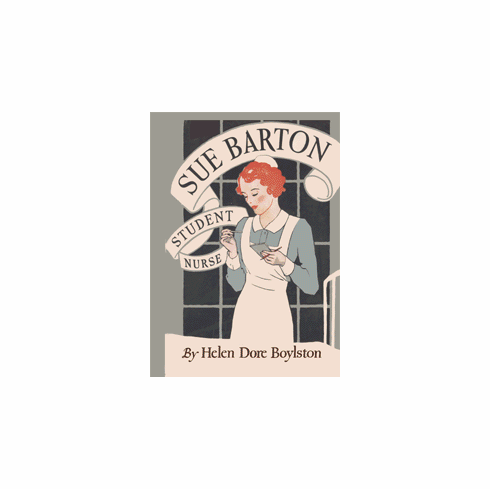 Sue, with her red hair and eager spirit, is a very likable person - direct, outspoken, capable of mistakes, capable also of warm attachments and a courageous devotion to the service which she soon loves. With her pals, Kit and Connie, she submits to the discipline and rigorous training which are required of every good hospital nurse. Her love of humor gets her in and out of several scrapes: she tumbles into the laundry chute; she tries to defend her fellow student from the inevitable hazing; she gets into an amusing pickle with an Italian patient who speaks no English. Her warm heart and delightful spirit make friends for her among the patients and even win the occasional approbation of the stern staff. Her femininity has more than a casual effect on Dr. Barry, the ablest of the young interns. Sue's student years are alive with color and incident: the tests which she must pass to win her cap; the mistakes, very human in themselves, which almost ruin her career; her struggle with a delirious patient, a struggle which tries her courage to the utmost; Christmas in the hospital, when the entire staff comes together for one spontaneous celebration. Whether or not a reader has the ambition to become a nurse, she will find in this story a true picture of the training school of a great hospital and a heart warming friendship with a fun, joyous young woman. Softcover edition.